The quick tip guide will provide info on how to navigate the members only section of the website and your group/company membership page to add employees and update your company information. Company Profile Page – list the company information you want others to see and list employees on the members tab of your company profile. Follow and interact with us on Twitter, on Facebook and join our community Linked In page to keep up to date on Association announcements and news. The Resources section has a place to view and post RFPs. 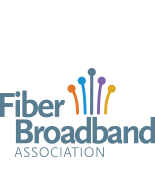 Seek and post job opportunities in the Fiber Job Zone. We have a weekly format to bring you industry and member news every Friday. To include your announcements, please send to connections@fiberbroadband.org.